Dell Publishing Company, 9780440241416, 368pp. 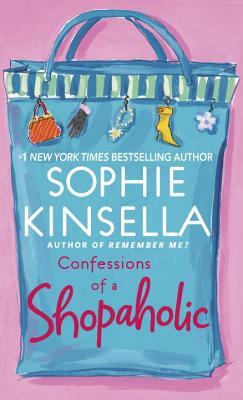 Millions of readers have come to adore New York Times best-selling author Sophie Kinsella’s irrepressible heroine. Meet Becky Bloomwood, America’s favorite shopaholic – a young woman with a big heart, big dreams…and just one little weakness. Becky has a fabulous flat in London's trendiest neighborhood, a troupe of glamorous socialite friends, and a closet brimming with the season's must-haves. The only trouble is that she can't actually afford it–not any of it. Her job writing at Successful Savings not only bores her to tears, it doesn't pay much at all. And lately Becky's been chased by dismal letters from the bank –letters with large red sums she can't bear to read–and they're getting ever harder to ignore. Finally a story arises that Becky actually cares about, and her front-page article catalyzes a chain of events that will transform her life–and the lives of those around her–forever. Sophie Kinsella has brilliantly tapped into our collective consumer conscience to deliver a novel of our times–and a heroine who grows stronger every time she weakens. Becky's hilarious schemes to pay back her debts are as endearing as they are desperate. Her "confessions" are the perfect pick-me-up when life is hanging in the (bank) balance. Sophie Kinsella is the author of the bestselling Shopaholic series, as well as The Undomestic Goddess and Can You Keep a Secret? She lives in England. "From the Trade Paperback edition."